Let me preface this post with a disclaimer- I am not crafty. I do not know how to knit, sew, crochet, draw, paint or do just about any DIY home projects. That’s the good news, for those of you reading who are also not craft savvy! So I always saw the cutest newborn shadow boxes that held keepsakes from babies birth. I thought that was such a great idea! I opted for a baby book instead because all I really had taken home from the hospital as a keepsake was our bracelets, which I put in the book along with her little footprints. 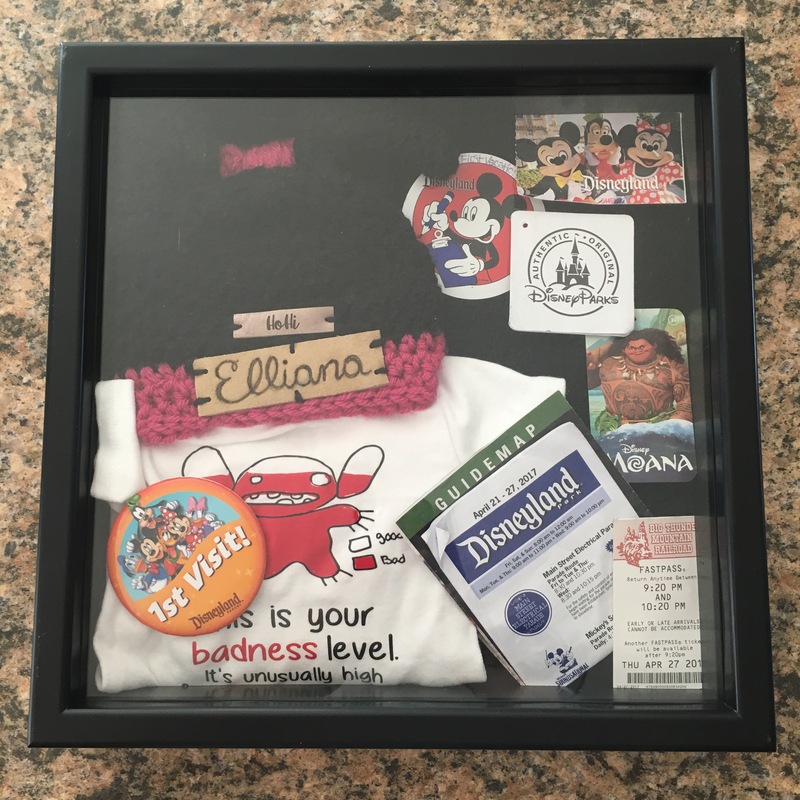 But I still loved the idea of a shadowbox, so I decided- I’m going to dedicate one to her first vacation! When you take your babe on their first ever vacation, keep your shadowbox in the back of your mind throughout the trip. Think of the keepsakes you’ll want to include from the trip and put them somewhere you won’t lose them. PI bought a $10 shadowbox from Walmart for my project and put it all together in minutes! And there you have it, the cutest DIY babies’ first vacation keepsake!